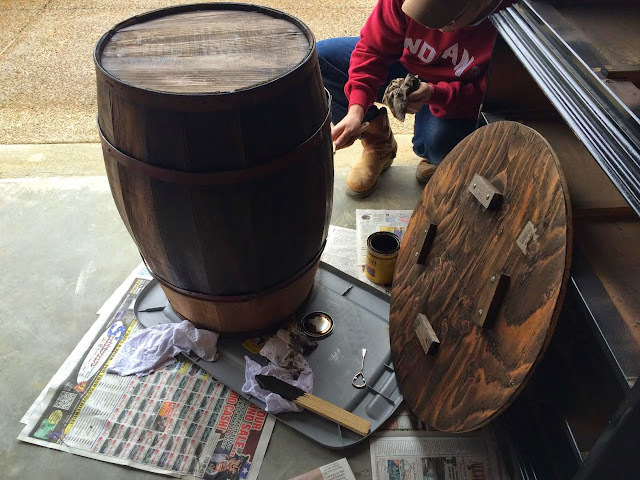 we loved our barrel project! 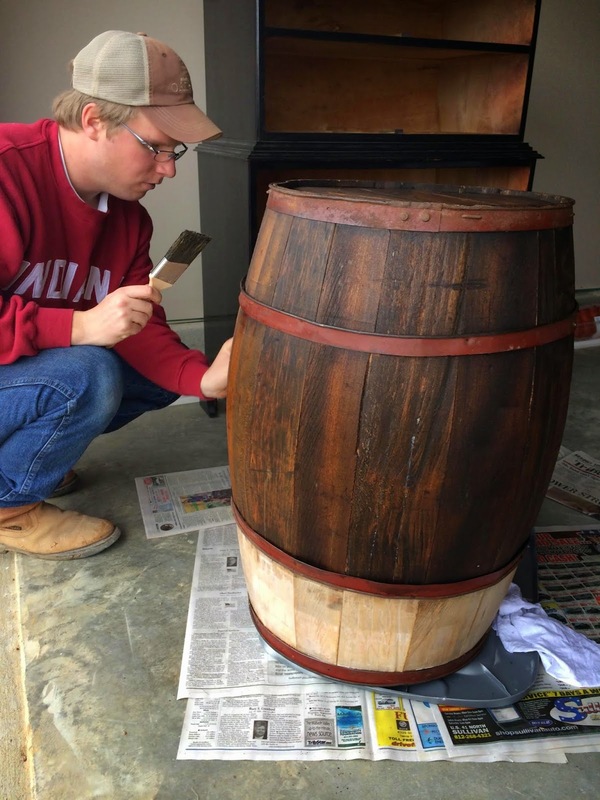 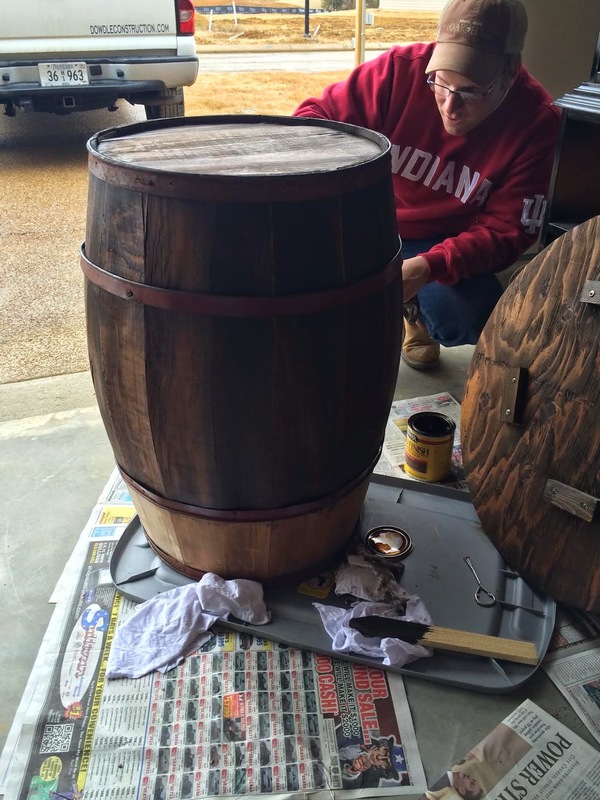 the first picture shows the actual barrel at the nashville flea market that we purchased for $60. 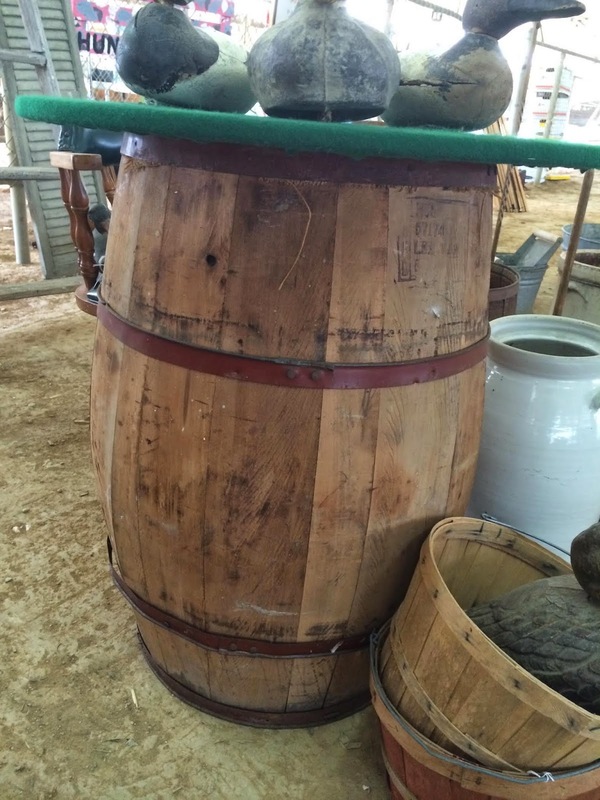 it was actually a barrel used in a donut factory. with reed's obsession with donuts we knew it was meant to be :).we didn't like the green felt top but we knew we could make it better. 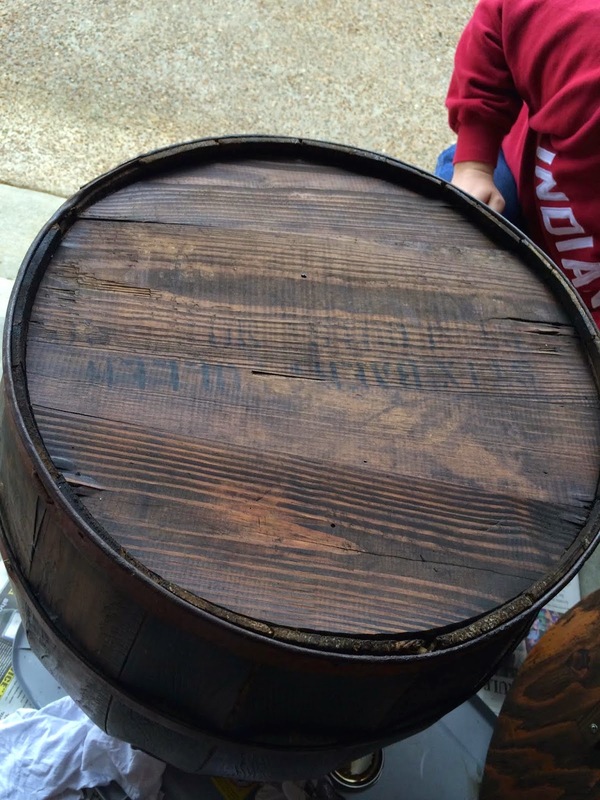 the two details we loved the most was the red barrel bands across the barrel and the factory imprint. 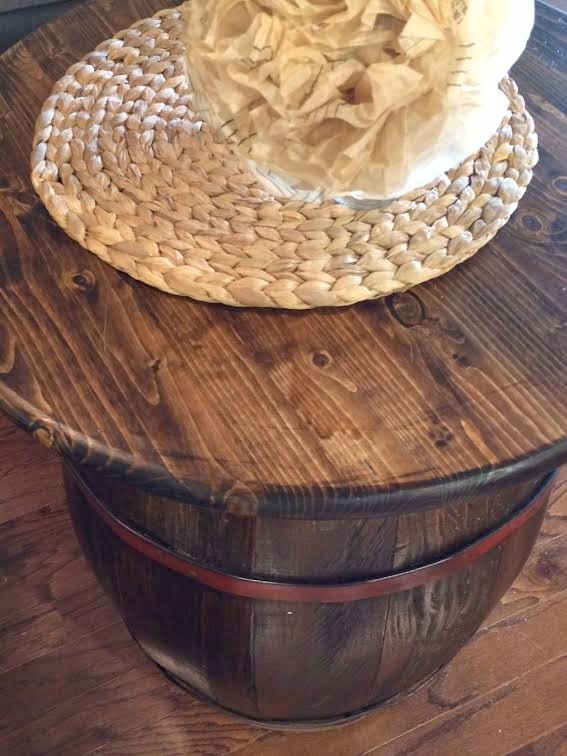 we wanted to keep these two details in the piece to give off that rustic feel we were looking for. 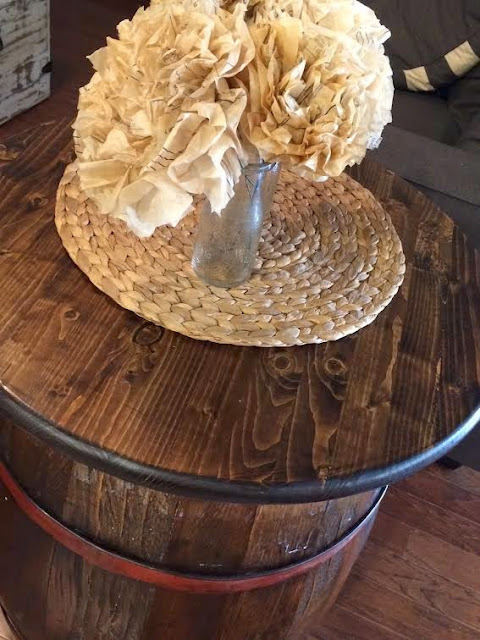 the last few pictures show our barrel table in our living room. 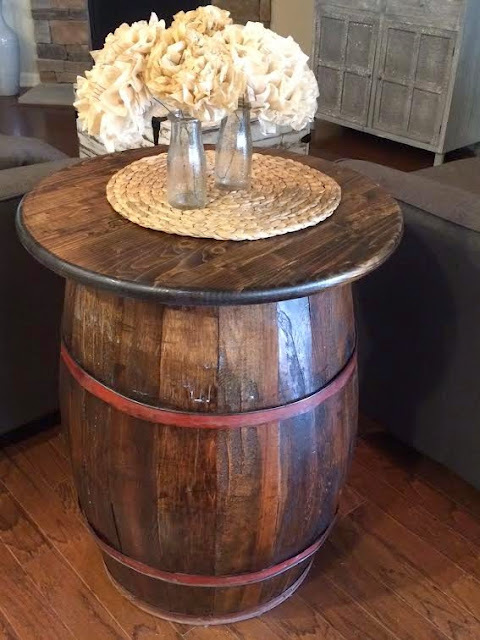 we used it for an end table with our couches. 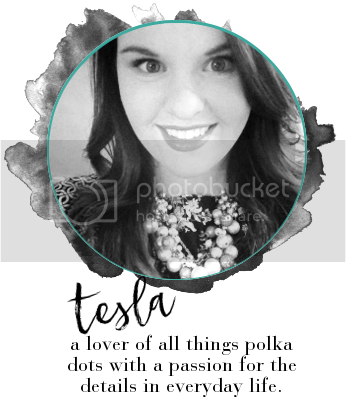 we love how this turned out.